We are H J Dawson Funeral Directors in Leamington Spa. You can trust us to arrange a personal and dignified funeral service for your loved one. 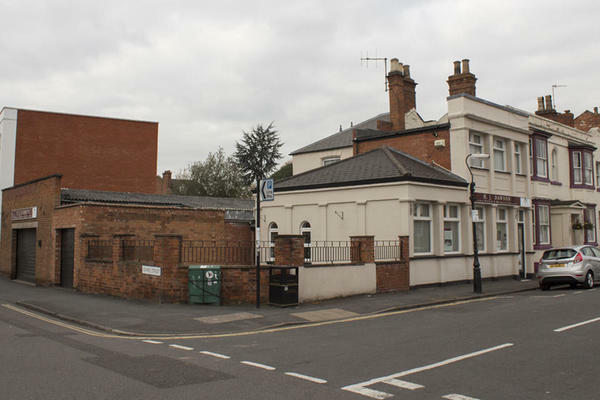 Our funeral home on George Road is one of the oldest of its kind in Leamington Spa. It also has a dedicated wash and dress facility and an Asian chapel of rest, for our local Sikh and Hindu families. Our knowledgeable team will ensure all the details that you and your family ask for are covered, to create a funeral service that is personal and unique to your loved one. Please call us at any time you need us, we are here to help and support you. Call us today on 01926 427464 to talk through your personal requirements. At H J Dawson Funeral Directors, we understand how special life is with those that you love. For us, every funeral is unique and personal. We have a service to fulfil every wish, with every detail carried out with the same uncompromising quality of care. From a traditional service, to a colourful woodland burial, your options are limitless with our Full Service Funeral. If you have a little more flexibility when it comes to arrangements, then we can provide a Simple Funeral for a lower cost. We are located close to Salvation Army Centre. Our staff are available 24 hours a day on 01926 427464 if you require our services outside of these hours. From the moment we contacted Dawson Funeral Directors everything was dealt with sympathetically and at our pace. Staff were very polite and obliging to our wishes. Was very pleased with all the service from start to finish. Everything was handled extremely professionally but with heartfelt empathy. They were first class. Nothing was to much trouble for them. All my special requests were attended to and delivered in a most sincere way which was so comforting at such a sad time. Thank you so much to all of them. The whole procedure from first contact with the funeral directors to the day of the funeral was very professional. Each stage explained fully making sure the family wishes were adhered to. Thank you for sharing your experience with us on your online review. I am pleased that we provided the highest level of care and guidance to you and your family, and that all of your wishes and requirements were carried out by the team as you had requested.